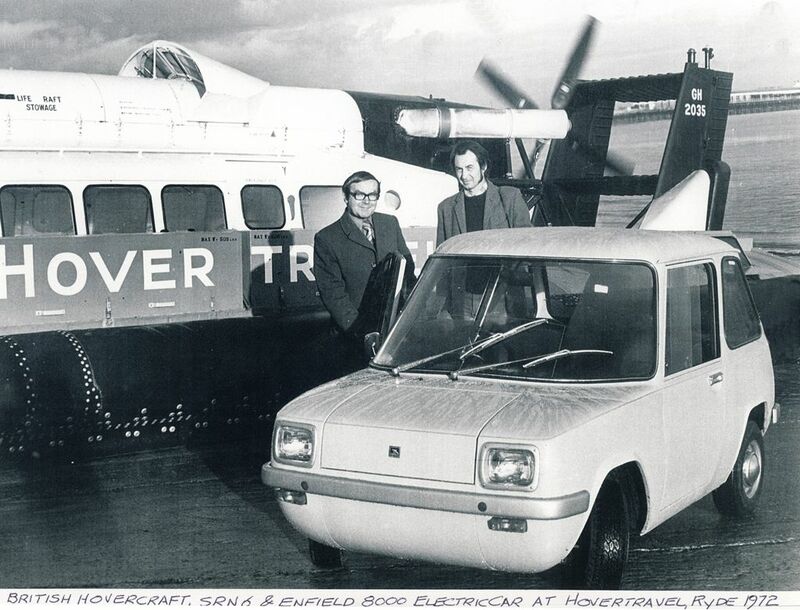 The Enfield 8000 Flux Capacitor was originally born with 10-inch Mini wheels and tyres. 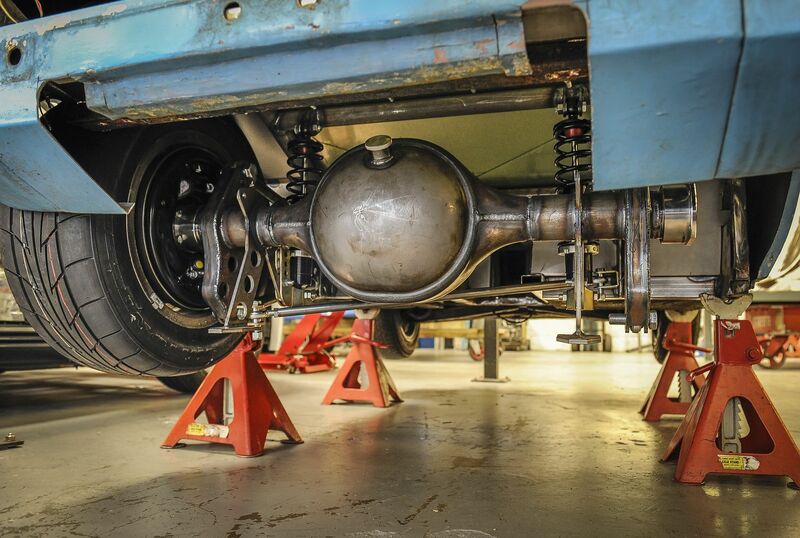 Since my project has done away with the Reliant back axle, we needed the biggest, widest, stickiest tyres we could get under the standard rear arches. Oh, and they had to be street legal because it’s too easy to claim record speeds when you’re running slicks. 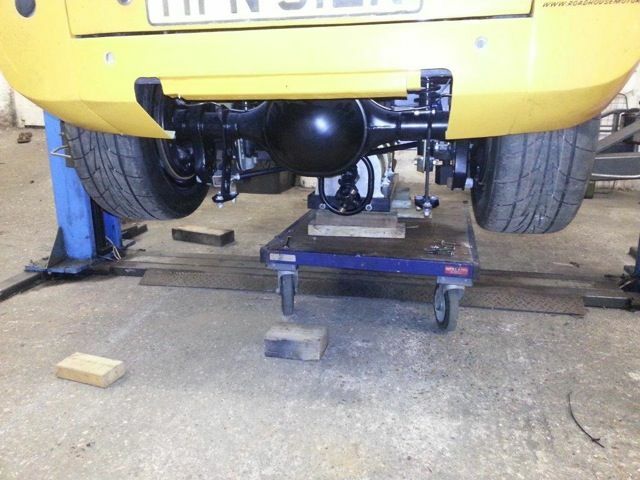 Since the rear end is now a narrowed Ford 9-inch I managed to tuck a 14x7J Wolfrace slot mag wheel back there. 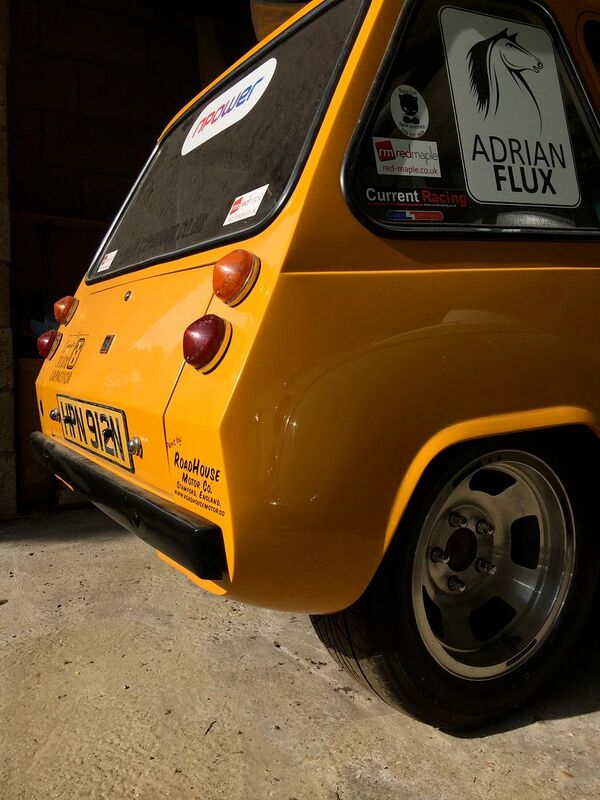 14s look huge on the Enfield, plus it’s about as small as decent drag street tyres seem to go. The car wears Nitto Extreme NT555R drag radials in 205/55/14. These are street legal treads for weekend drag racing guys, basically. Jon at Webster Race Engineering found them and built the rear end around them, so it’s a shock for us all to hear today that Nitto no longer make them. The worry is that they are obsolete before I’ve even done my first burnout or shakedown. Damn. If anyone has any information on similar sized drag radial tyres that will satisfy an MoT person please do get in touch. 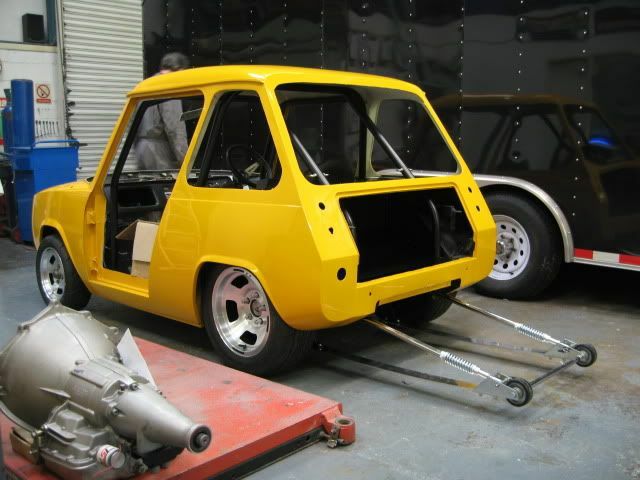 At the front the Enfield runs 12-inch wheels – 12x5J classic Wolfrace slot mags. 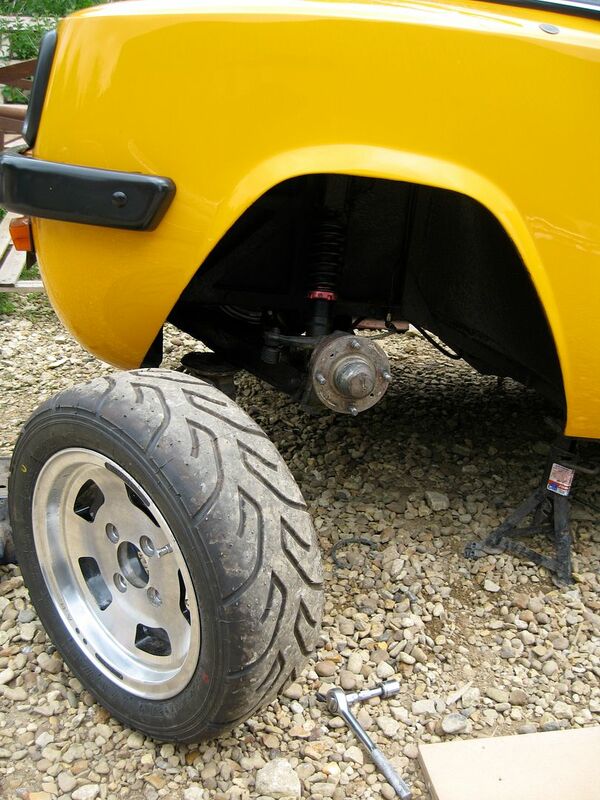 The tyres were sourced from Yokohama, who do a lot of sticky track day sizes for suitable for classic Minis. 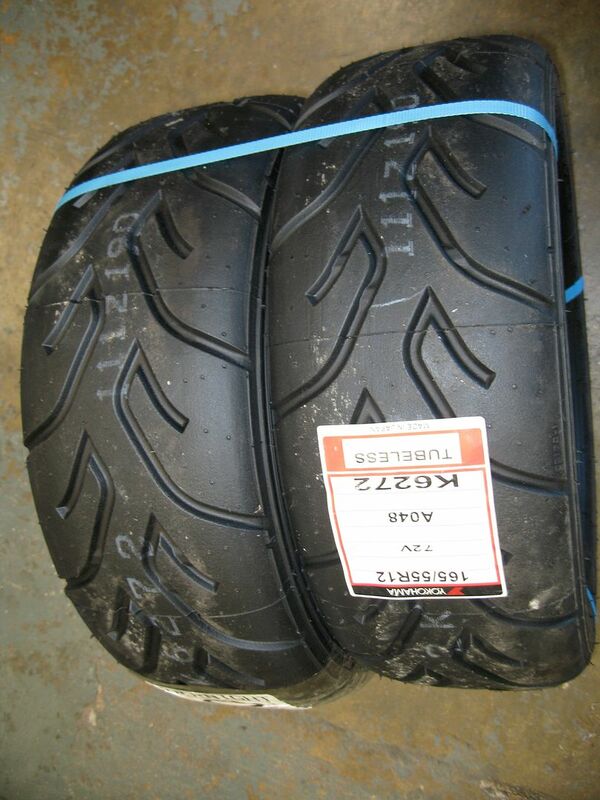 These are A048 165/55×12 and have enough tread to be road legal. Pretty isn’t it? 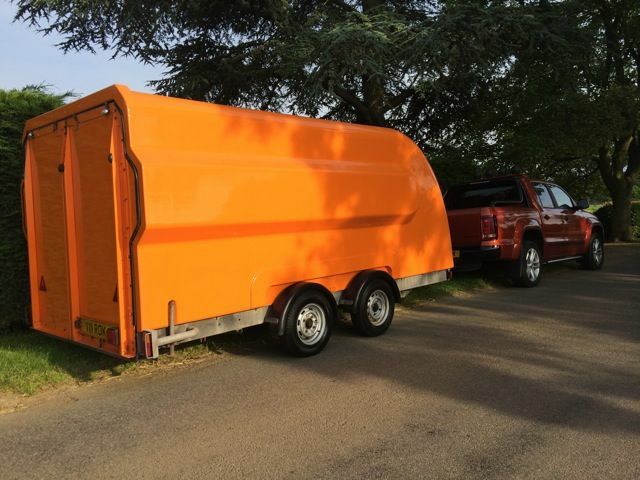 This orange Brian James ex-RAC trailer was found through my friend Eddie Farrow at EDF Motorsports who knew I needed enclosed transporation but on a tight budget (my cash was concentrated on the Enfield’s lithium-ion batteries). Based in Bourne, Eddie preps and stores and moves race cars so he’s been such a huge help checking over the trailer and keeping it in storage when I was in a pickle. If you need good honest motorsport prep, repair or transportation then tell him I sent you. 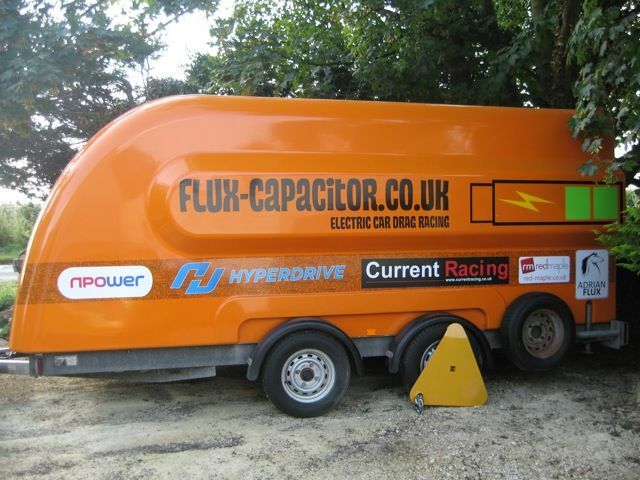 Another blatant plug needs to go to Pete Mindham at Black Cat Race Graphics who is doing a magnificent job with the decals on the Flux Capacitor’s trailer. We’ve gone for a fetching (and highly relevant) printed circuit board border with the recognizable mobile phone charging icon. He tried to convince me of a full vinyl wrap but I prefer the orange too much. Tap Pete up via email on sales@blackcatsigns.info for any race decal related matters. 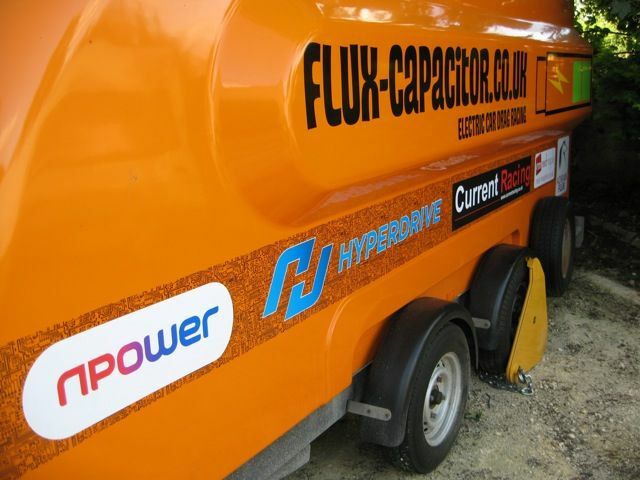 As I write this Hyperdrive Innovations are completing the all-critical lithium-ion battery system for the Flux Cap, so watch this space for a full update with pictures before the week is out.